Fresh Air Duct Ventilation Systems is must for indoor ventilation. Blow Tech offers the complete ventilation system in your factory indoor process/application for totally De-humid condition by applying fresh air with ducting, grills and blowers. Extensive duct-work is required for most air pollution technologies. 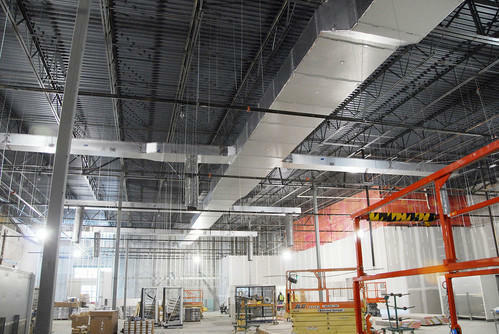 We have been providing rugged, cost effective duct-work for many years. We can provide duct-work to your specifications and can design a duct system to correspond with the system you already have in your facility. We can even provide various accessories like dampers to include with your duct system for better cross ventilation in your in house activity.